Espresso, sweet caramel, vanilla and milk. 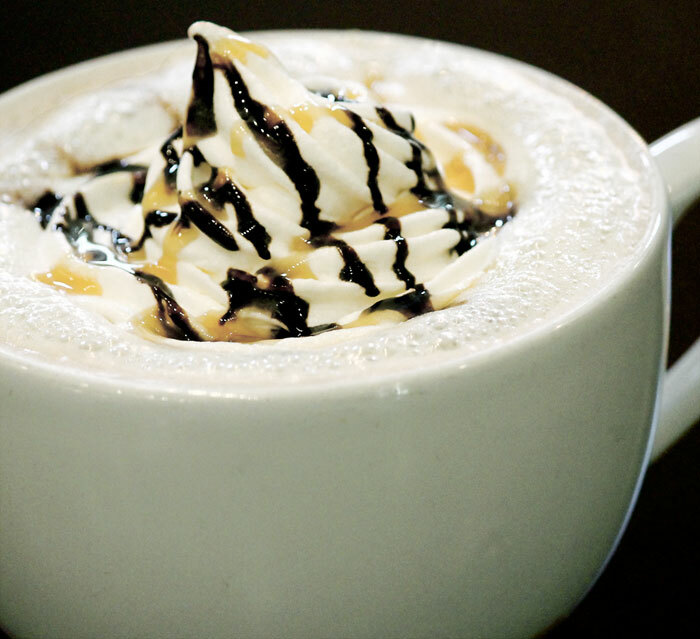 Topped with whipped cream and caramel drizzle. Sweeter than a kiss! 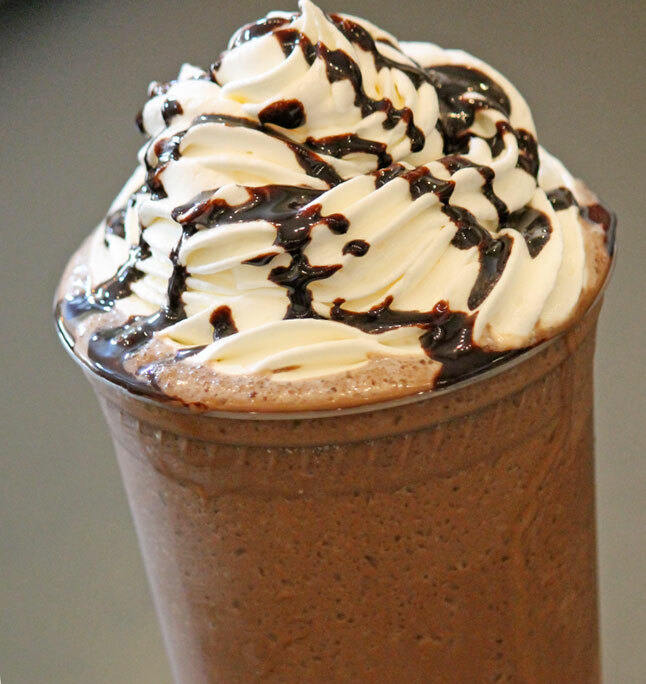 Espresso, peppermint, white or dark Ghiradelli® chocolate and milk. Topped with whipped cream and Andes® candies. Minty bliss! Espresso, vanilla, white Ghiradelli® chocolate and milk. Topped with whipped cream. Try it with Almond or Pumpkin. Youíll love it! Espresso, raspberry, white Ghiradelli® chocolate and milk. Topped with whipped cream. Delicious hot or cold. Espresso, caramel, Ghiradelli® chocolate, toasted almond and milk.Topped with whipped cream, Snickers® and caramel drizzle. Dessert in a cup! Espresso, cinnamon, white or dark Ghiradelli® chocolate and milk.Topped with whipped cream and dusted with cinnamon. Cinn-fully delicious! Espresso, almond, coconut, Ghiradelli® chocolate and milk.Topped with whipped cream and crumbled Almond Joy®. Oh the Joy! Espresso, peanut butter, chocolate and milk. Topped with whipped cream. Medium bodied blend, strong and subtle flavor. Regular or Decaf. Espresso and steamed milk topped with foam. Latte made yummy with flavor shots...just the way you love it. 1/3 Espresso, 1/3 steamed milk and 1/3 foam. Espresso, white chocolate, hazelnut, vanilla and steamed milk. Espresso, white or dark Ghiradelli® chocolate and milk. Topped with whipped cream.